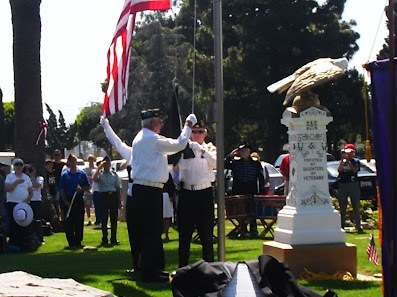 Santa Ana is the place to be once again this Memorial Day weekend as Santa Ana Cemetery and Fairhaven Memorial Park host special events that are free and open to the public. 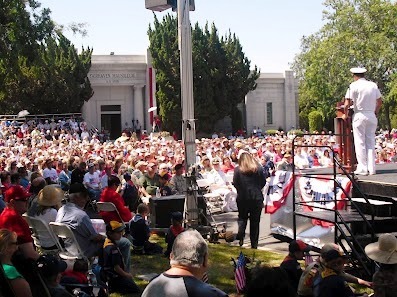 Santa Ana’s Fairhaven Memorial Park is hosting their 20th Annual Memorial Day Service on Monday, May 28th at 10:30 am. Military Guest Speakers include Commander Paul Werring, United States Navy, Major Aaron Schilleci, United States Army,Chaplain George Fessler, United States Navy—Retired. Fairhaven Memorial Park is located at 1702 Fairhaven Avenue, in Santa Ana. The Veteran & Community Service Organizations will parade in their flags, lay memorial wreaths and offer speeches and music. A Civil War cannon salute will also highlight the observance. Please click here to access the program flyer. Santa Ana Cemetery is located at 1919 E. Santa Clara Avenue, in Santa Ana.